Nic Petan, a North Delta native, played his minor hockey in North Delta until his bantam year, when he went to play for the North Shore Winter Club, a proving ground for talented young players in Metro Vancouver. After a very successful bantam Christmas tournament in 2009, he was signed by Scott Blakeney, a scout for the Portland Winter Hawks of the Western Junior Hockey League (WHL), at the age of 15. He was drafted for not only his scoring, but also for his ability to play at high speeds. A superb team player, he made it possible for his teammates to be better players – a rare talent. Nic played 5 seasons for the Portland Winter Hawks, starting in 2010. He was rewarded for his outstanding performance during the 2012-13 WHL season by being named to the 2013 WHL West All-Star Team. He led the WHL with 74 assists and shared the overall scoring title with 120 points, which included 46 goals in 71 games. Nic scored 9 goals with 19 assists in 21 playoff games and was plus-13, registering 16 penalty minutes. The Winter Hawks reached the Memorial Cup championship game, losing 6-4 to Halifax. Petan scored 1 goal and 9 assists and was plus-1 in 5 Memorial Cup games. Despite being smaller than other players (5 foot nine inches tall and 175 pounds), it was deemed that Nic was destined to play in the National Hockey League (NHL). 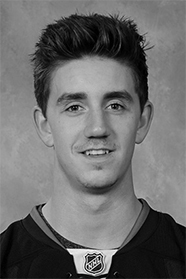 The next year, 2013-14, Nic continued to improve, scoring 35 goals and leading the WHL with 78 assists. Portland finished first in the U.S. Division and reached the WHL Finals for the fourth straight year. Although the Winter Hawks lost to eventual Memorial Cup champion Edmonton Oil Kings, Petan scored 7 goals and 21 assists and was plus-7 in 21 playoff games. Prior to the 2013 Entry Draft, Nic Petan had already gained a strong reputation for his outstanding team play. He was drafted by the Winnipeg Jets in the second round, being 43rd overall. In December of that year, he signed a three-year entry-level contract with the Jets. Nic has had the experience of international play, assisting Canada’s U18 team win a gold medal at the 2012 Ivan Hlinka Memorial Tournament. During the 2013-14 season, he represented the WHL in the Subway Series. These past two years, Nic has played for the Canada U20 team at the 2014 and 2015 International Ice Hockey Federation World Junior Ice Hockey Championships. He was instrumental in Canada’s gold medal win over Russia, tying for team scoring with 11 points, including 4 goals in seven games and a three goal performance against Slovakia in the semi-final. In his own words, he told his mother that all he wanted for Christmas was a gold medal around his neck. A bright future is predicted for Nic Petan, a hockey player who began his playing career in North Delta.